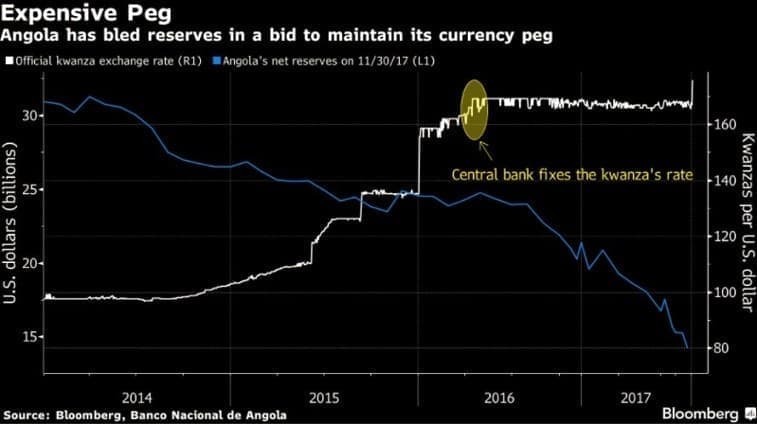 Angola's foreign exchange reserves have halved since 2014, as the West African nation has attempted to defend the kwanza versus the U.S. dollar. Unpegging the currency has caused a swift 10 percent weakening in the currency, with further devaluation likely ahead unless oil prices continue to rally from here. 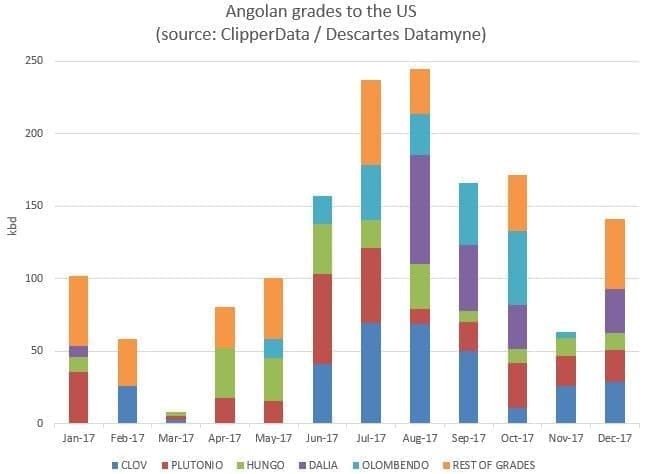 Angola is the second largest oil exporter in Africa, relying on the oil industry for half of its GDP and about three-quarters of its government revenues. The country committed to lower its output by 78,000 bpd as part of the OPEC production cut in 2017. According to our modeling, for them to be in compliance, they needed to dial back exports by 76,000 bpd. In 2017, exports were lower than year-ago levels in ten out of twelve months, equating to an average drop of 101,000 bpd in 2017 versus October 2016's reference level - highlighting over-compliance with the OPEC production cut deal. 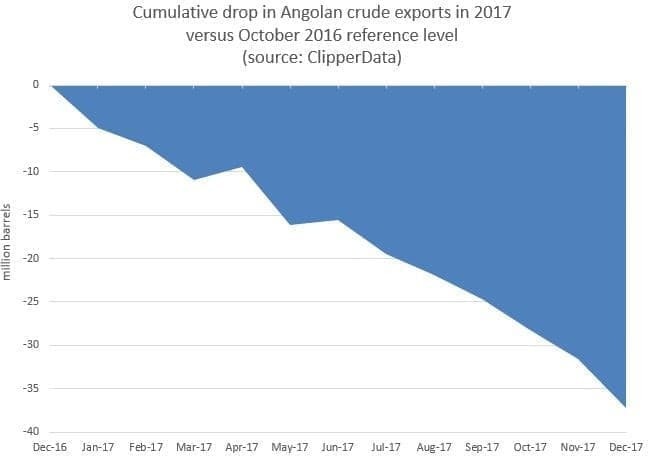 As we discussed yesterday that despite dialing back on total exports, Angola showed the biggest year-on-year increase in OPEC deliveries to China in 2017, sending 100,000 bpd more than in 2016. India, the third-largest destination, also saw higher flows. Unlinking from the dollar is an act of desperation for a poverty stricken, poorly managed, basket case of a country and is bad news for its citizens. 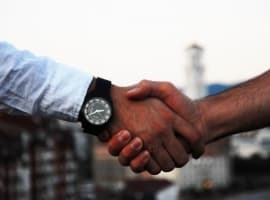 As long as there was a dollar link people could have some trust. Without the dollar link nobody trust Angola or its currency to be worth anything. If they were smart they'd up their production and try and take advantage of this temporary spike in prices. With every single $1 increase in the price of oil the spur to increase U.S. and other non-OPEC production is huge. U.S. shale can make money at $50 and cost are dropping, so at $64 a barrel the oil rush is in full bloom, and its doesn't take years to bring production to the market anymore. 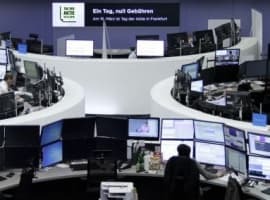 Their is still a glut of oil sloshing around the world, millions of barrels a day of idled production just sitting there, and U.S. production roaring, especially over $60, and more with every $1 increase. So a basket case country like Angola should do the right thing for its people. Relink to the dollar, and sell more oil while prices are high and it can. Having a fixed peg leaves a country vulnerable to the schemes of currency traders. Review "Black Wednesday " on Wikipedia. 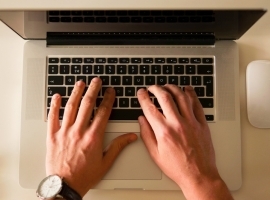 Currency traders can in effect extort a profit from the peg until the peg is broken. A better method would be to allow a float to occur and then control the finances of the countries budget and diversify the economy away from a sole source income exporting commodity. Attempt to keep budget deficits at a percentage similar to the US budget deficit and in a sense you can keep the currency fairly well aligned to the US dollar if this is your goal.